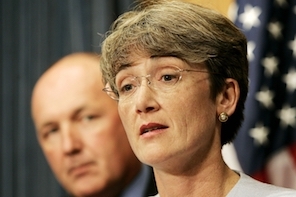 On the same day Senator Diane Feinstein officially announced her opposition to the appointment, the full Senate voted to confirm Heather Wilson as Secretary of the Air Force. The vote was 76-22, with both New Mexico Senators Udall and Heinrich voting to confirm. President Trump promised to "drain the swamp". Then why did he nominate Heather Wilson for Secretary of the Air Force? "Even though Trump promised during the presidential campaign to "drain the swamp" of Washington power brokers that use knowledge gained in public office to pursue private gains, dozens of internal Lockheed and Sandia emails involving Wilson make clear that she is practiced at doing just that." "In February 2013, then-House Speaker John Boehner appointed Wilson to the Congressional Advisory Panel on the Governance of the Nuclear Security Enterprise, meant to critique and suggest improvements in the way the government does business with nuclear weapon contractors- including the four that had hired Wilson's firm. 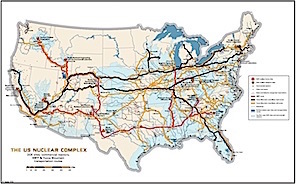 "Wilson's appointment got the attention of an anti-nuclear watchdog group in her home state, Nuclear Watch New Mexico. Wilson ignored pleas by the group's executive director, Jay Coghlan, to step down from the congressional commission over the perceived conflict of interest. The panel recommended that Washington sharply scale back its regulation and oversight of all the nuclear weapons laboratories..."
"The Air Force has direct involvement with two legs of the nuclear triad, which refers to the three ways the United States is able to fire nuclear weapons. 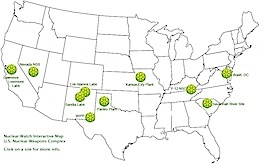 The bombs delivered by aircraft and the ground based missiles kept in silos around the northwest are both managed by the Air Force, so the agency will be directly involved in a $1 trillion nuclear modernization plan over the next 30 years- a plan that will also significantly affect the work and funding for the labs Wilson previously worked for. 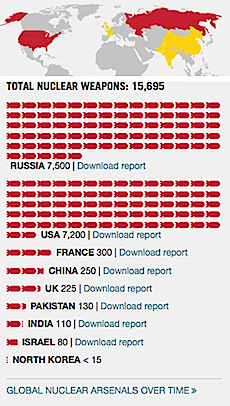 Many have questioned this nuclear modernization plan and how much, if any, of it is necessary. With President Trump's commitment to "drain the swamp," Senators should closely examine Wilson's past work with the nuclear labs, and whether she would recuse herself from decisions involving her former clients to prevent a conflict of interest. - Aug 24, 2015. Lockheed Martin Pays $4.7 Million To Settle Charges It Lobbied For Contract Renewal With Taxpayer's Money. - Nov 3, 2013. 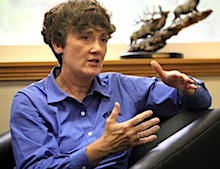 From Congress to contract: Heather Wilson says 10K per month Sandia Labs deal met ethics rules. - Jun 11, 2013. 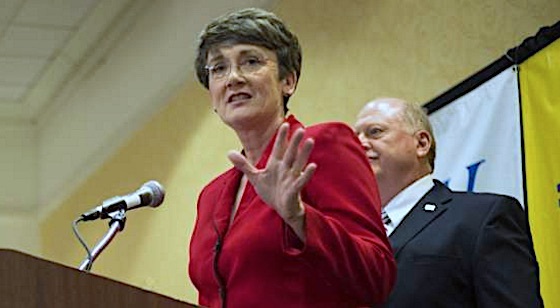 Nuclear Weapons Labs Made Improper Payments to Heather Wilson; She Should Resign from NNSA Council Determining Their Future. "I am the only person who ever looked at all twelve thousand five hundred of our targets. And when I got through I was horrified. Deterrence was a formula for disaster. We escaped disaster by the grace of God... This has to end. This must stop. This must be our highest priority." -Gen. Lee Butler (Ret. ), former Commander in Chief, U.S. Strategic Command Our Mission: Through comprehensive research, public education and effective citizen action, Nuclear Watch New Mexico seeks to promote safety and environmental protection at regional nuclear facilities, mission diversification away from nuclear weapons programs, greater accountability and cleanup in the nation-wide nuclear weapons complex, and consistent U.S. leadership toward a world free of nuclear weapons.